One of the mildest mannered people in local government this week phoned up LGC in a rage to slam the post-Grenfell Tower performance of the Local Government Association. This individual is not alone. A number of other significant players have privately expressed dismay that while the sector’s deficiencies have been all too visible in the aftermath of the tragedy, no one has been visibly batting for local government overall. The condemnation justifiably faced by Kensington & Chelsea RBC has spread. Camden LBC’s decisive action against its unsafe tower blocks has been criticised by some as an over-reaction. Other councils are nervously navigating a path in which they need to show openness about housing safety, not unduly alarm residents, ensure cladding is properly tested and begin any remedial work. The charge being laid at the door of the LGA is that it had effectively derogated from its position as leader of the sector by failing to participate in the debates about public safety, the future of social housing and social inclusion that have followed Grenfell. In the meantime, councils are taking the rap and ministers have insinuated that the sector overall has done too little. Of course, we do not know what the Grenfell Tower public inquiry will find but a debate is already underway in the commentariat and among national politicians both about the root causes of the tragedy and how similar horrors can be prevented in future. Make no mistake about it: this discussion will have far reaching implications for the future of local services. And it will not wait until public inquiry chair Sir Martin Moore-Bick has concluded his work. At least until LGA chair Lord Porter was interviewed on the Today programme this morning, the case has not been sufficiently powerfully made by local government in wider public discourse for the value of properly resourced, bold, well regulated local service provision. The LGA is insistent that it has been proactive, with 25 staff working around the clock on the issue. Lord Porter has discussed the issue with the prime minister; the association has met with other ministers too. An LGA source says that its regular problem – the difficulty of agreeing a cross-party line – is not a factor on this occasion; the party groups are in agreement. However, there is an understandable preoccupation with ensuring that any statements are accurate and legally watertight in advance of the public inquiry. LGC’s source said that the association was wary about wading into the debate about Grenfell and public sector cuts. Ministers would point out that the housing revenue account and reserves could be used to cover the immediate costs of improving building safety. They have a tendency to be immune to bleeding heart pleas for resources. After LGC put some of the criticisms we have picked up to the LGA, Lord Porter agreed to write us an article which offers a defence of its performance. He admits that in order to ensure information given out was correct, the association “had to be cautious in our public responses so far”. The association has also “worked hard to defend councils in the face of suggestions that they had been slow sending in samples of cladding to be tested”, Lord Porter writes, adding: “This, quite simply, wasn’t true.” The LGA has also offered support to councils affected, including communications support, and was constantly working with ministers. 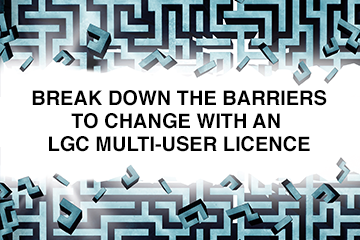 LGC understands the Society of Local Authority Chief Executives & Senior Managers, which has also put out very little in the way of public statements, is wrestling with similar dilemmas. A much smaller operation than the LGA, for the Solace members that have stepped in to support the recovery at Kensington & Chelsea their focus has rightly been on the homeless residents and grieving community in North Kensington. Of course, Grenfell is not about a battle of one-upmanship between organisations or tiers of government. It is a major tragedy with a grim human toll. But it is a test of leadership, both locally and nationally. And there is a rightful clamour for the causes of the disaster to be understood and for strong leadership to ensure it can never happen again. The discourse about the disaster will run and run; local government and, in particular, the LGA need to be major players in this vital debate. Communities secretary Sajid Javid has lectured local authorities to become more open and transparent.